What makes our hotel so special? Is it the stunning beachfront location on the boardwalk, within walking distance to shopping and dining? Spacious suites with full kitchens and cable TV? Friendly staff? 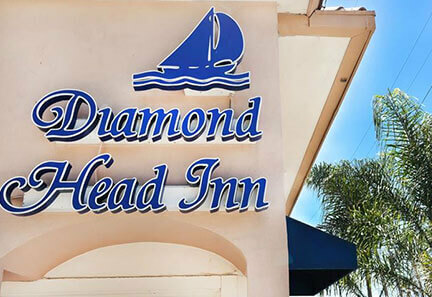 Read these Diamond Head Inn hotel reviews and discover why so many people love our casual coastal charm and inviting atmosphere. Ready to go? Contact us today to start planning your escape to Pacific Beach in beautiful San Diego.